Pokemon: Magikarp Jump players looking to to train the baddest Magikarp around are going to need a steady supply of items, and in order to keep the goods flowing in, monetary sacrifices must be made. Not really money, of course -- though players can certainly spend that sort of money if they like, too -- but rather in-game currency, specifically gold coins, are needed to grab some of the upgraded food items and training exercises. Luckily, we've got all the information Magikarp trainers need to start earning coins fast. One of the best ways of earning coins in Pokemon: Magikarp Jump comes naturally through playing the games. At various points in time, players are likely to earn one or more achievements, many of which bestow rewards in the form of Diamonds, coins, and even rarer items like Decorations. Players can see what Achievements they've earned as well as see what other Achievements are still available by heading over to the Achievements area from the home pond screen. 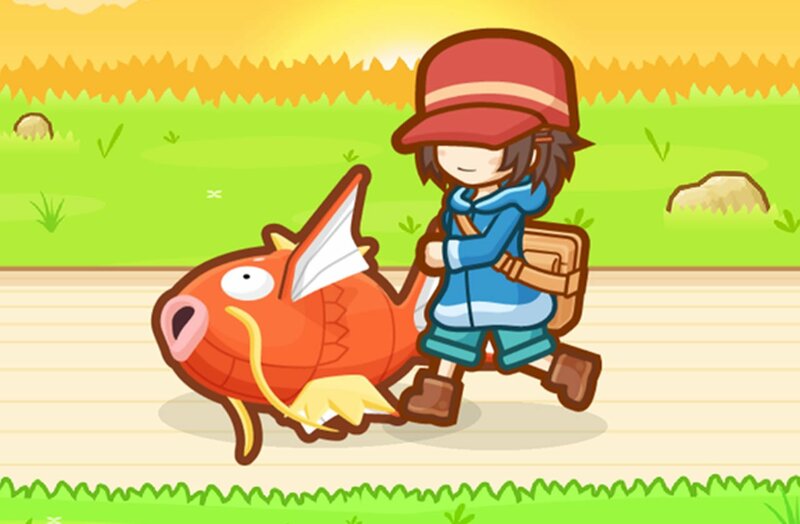 As keen Magikarp trainers are aware, Pokemon: Magikarp Jump offers a number of different decorations that can be placed around the home pond, each of which offering new and exciting abilities. Of particular interest are items like the Lampent Lamp, which provides a 20% bonus to all coins garnered through gaining levels, as well as the S.S. Anne Model, which increasing the coins gained from discovering sunken treasure by a whopping 68%. There are other items that provide boosts to coins earned, too: the Exeggutor Palm provides a 12% increase in coins from league battles, the Sunflora Bunch grants an extra 28% to coins earned from events, and the Sudowoodo Bonsai provides a 29% increase to coins earned through events. Do note that purchasing decorations requires that players spend their hard-earned Diamonds -- but you've got to spend money to make money, right? Depending on how flush the trainer is at any given time, players might be willing to earn a few coins by exchanging their Diamonds. This isn't the most effective method in earning coins in Magikarp Jump, but it can be helpful for players who are looking to unlock a new decoration but are just a few coins shy of the asking price. Looking for more great free-to-play action? We've got a host of excellent F2P titles featured over on our list of the Best Free To Play Games.